For all the hate we dish on influencers (influencer influenza, hurhur), let’s face it: there have been times when we were nudged into trying a new restaurant just because the flat lays they featured were #onpoint. And then we head down there, only to realise it’s a big bag of crushed dreams and wasted dollars. But fear not – here are some of the top Instagrammers in Singapore to follow to save yourselves the disappointment. Despite the lack of formal culinary training, self-proclaimed YouTube-taught Lennard Yeong joined culinary competition MasterChef Asia in 2015. He may not have been crowned the winner, but the good-looking engineer has emerged a prince in his own right, with over 62,000 followers. His Instagram features technically precise dishes he experiments with at home, all prettily plated for the ‘grams. But for those of us not so lucky to get a seat at his kitchen, Lennard provides plenty of inspiration as he makes his way around Singapore and around the globe, showing off wagyu burgers in New York alongside street eats from Bangkok. Food writer Evelyn Chen keeps an Instagram that is both pleasing to the eye and informative. Each photo – none of those amateur shadows, mind you – is accompanied by the ever-useful geotag and a short caption, telling you what you’re looking at. 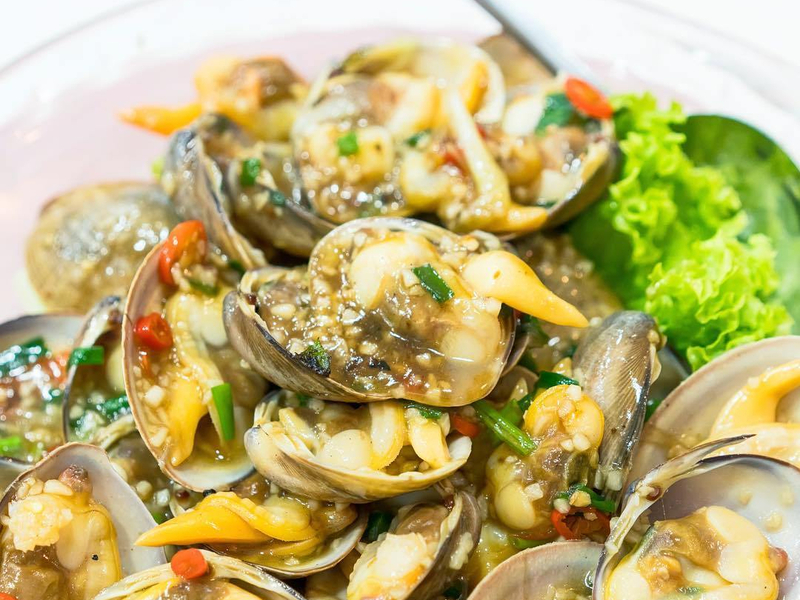 Sometimes they read like a snippet of a diary entry – a Jan 3 post reveals what she did with 500g of squid from Ghim Moh market – and in others, a critic’s verdict on a new restaurant. It’s a personable way to keep up to date with the latest eateries – both the humble and the atas – in Singapore. Kerri Teo’s Instagram is just over a year old but has amassed more than 300 posts to date, which goes to show how often she eats. She is not afraid to tell us if a dish didn’t live up to its hype, and gives you a heads-up if there are good promotions to take advantage of (though you could also just check out our Chope Exclusives for great deals). She posts about her gastronomic adventures to fancier restaurants like Chef’s Table or Whitegrass, but isn’t ashamed to review the humble Ikea hot dog, either. Even if you were content to eat cardboard for the rest of your life, Eugene Khoo’s Instagram is still a delight to peruse, given all the aesthetic photos on his feed. Eugene is another globetrotter, travelling to cities as disparate as Melbourne, Modena and Copenhagen to satiate his desire for good food – another useful account for those who search for travel recommendations on the social media platform. Eugene’s feed is also great for the mini wine lessons he imparts, whether it’s about the way he describes a bubbly he enjoyed, or you just need some recs.